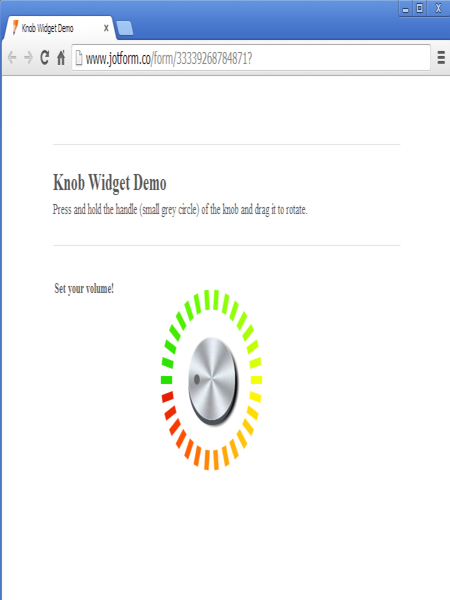 Knob is a small and simple widget to gather user ratings and number scales. It&amp;#39;s made of a rounded grey fancy knob image. 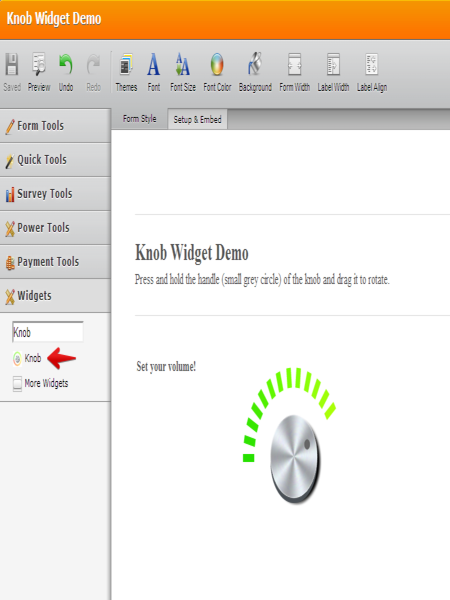 To use Knob, just add it to your form and preview. To set a knob value, just press and hold the knob handle and drag it so it creates a value that is shown as a colored image around it. It is just like the way you tuned in your radio volume. Check out the demo above to test it live!